Everyday strategies to help children with hyperlexia learn language and social skills! 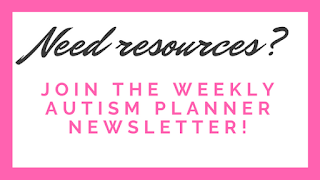 One of the biggest challenges for me, as a parent of a child with hyperlexia, has been finding practical resources and ideas that target hyperlexic children. Or any books on hyperlexia, for that matter. There's just not much available. So I wrote the book that I wish I would have been given right after my son's diagnosis: a practical guide that helps me target the skills that he needs help with. The book that's filled with strategies and ideas that we've tried, tested, and used for years to help my son finally move beyond the letters. $12 US | BUY NOW! 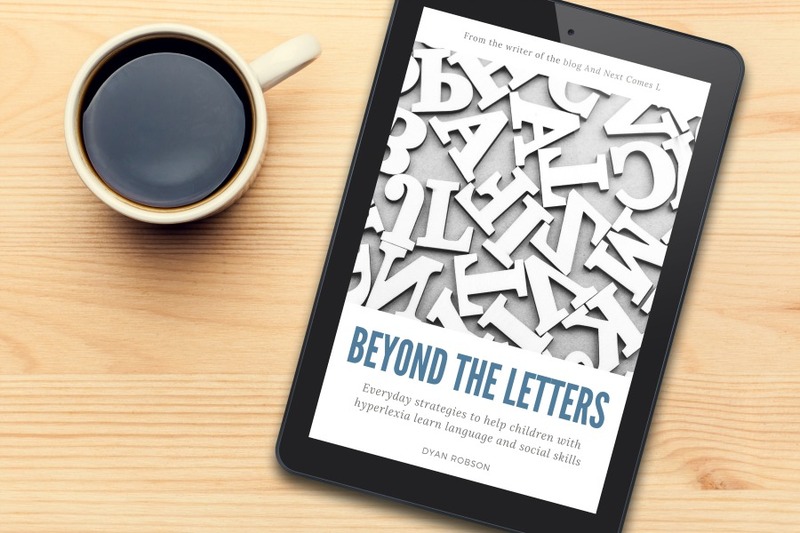 This book is intended for parents and educators who have a child or work with a child who has hyperlexia. The suggestions in this book are geared towards small children, but may be relevant for older children and preteens as well. It does not cover teenage or adult topics such as puberty, relationships, or driving. Parents of children with autism, without hyperlexia, may also find the strategies and accommodations in this book helpful. 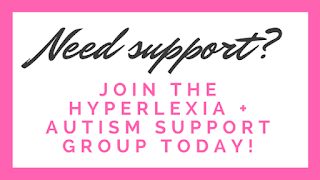 However, the focus is primarily on hyperlexic children and their unique skills and challenges. This is such an amazing book! There are so many resources and ideas here. Finally a book that doesn't just talk about the behaviors, but gives fabulous ways to help! Thank you, Renae! Glad to hear you found it helpful! Hi, Shane! Yes, you will need to purchase using the EU link via Teachers Pay Teachers (TPT). When you originally ordered through the other link, you were automatically refunded, so yes, you will need to pay again through TPT. Hope that helps! It was definitely refunded on my end in PayPal. Hi, we live in New Zealand, should we use the EU option aswell? I guess so, but just checking. I think either link should work for you. how do i get the book? i live in malaysia. You should be able to order via either of the links above.